Proliferation of Weapons of Mass Destruction (WMDs) poses a threat to international peace and security. 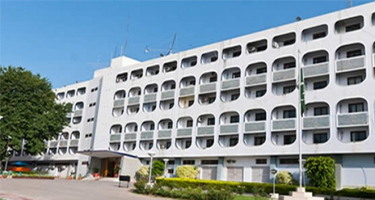 In pursuance of its commitment to non-proliferation, Pakistan has instituted a comprehensive legislative. regulatory and implementation system on transfer of sensitive goods and technologies and ensuring their safety and security at all stages. Export Control on Goods. Technologies, Material and Equipment related to Nuclear and Biological Weapons and their Delivery Systems Act - 2004(SECA-2004) was passed by the National Assembly on 14 September 2004. The Act further strengthens controls over exports of sensitive goods and technologies particularly related to Nuclear and Biological Weapons and their means of delivery, and enables governmental controls over export. re-export, transit, and transshipment of goods, technologies, material and equipment related therewith. Lists of goods and technologies subject to regulatory controls were published in 2005 (SRO 1078(I)/2005) and subsequently reviewed/revised (SRO 1142(I)/2016). 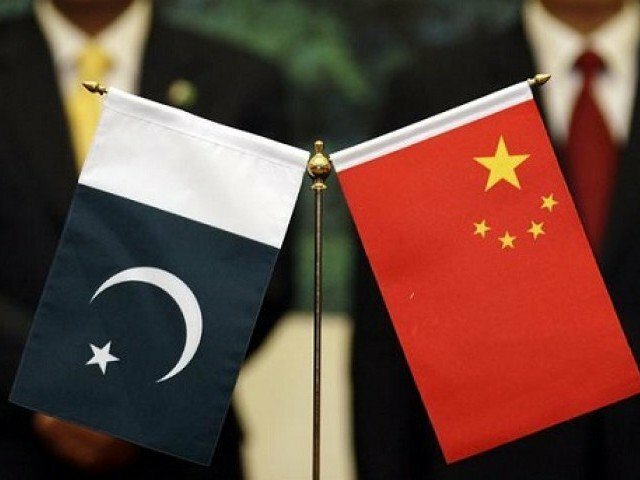 The lists are consistent with the scope of export controls maintained by the Nuclear Suppliers Group, Missile Technology Control Regime and Australia Group. These are periodically reviewed/revised by a standing Joint Working Group. 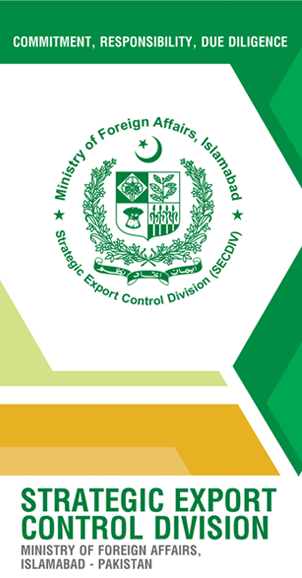 Pursuant to Export Control Act 2004, the Strategic Export Control Division (SECDIV) was set up in 2007 as part of the Ministry of Foreign Affairs (SRO 499(I)/2009), to administer export controls. SECDIV is the licensing Authority for items mentioned in the Control Lists and those non-listed items which could possibly be used in WMDs or their delivery systems. It also coordinates enforcement of the Act. Export Control (Licensing and Enforcement) Rules (SRO 450(l)/2009) were notified in 2009. These rules set out procedures for licensing and implementation of Export Control Act. An Oversight Board has also been set up (SRO 693(I)/2007) to monitor the implementation of Export Control Act 2004, including the formation and functioning of SECDIV. To promote self-regulation and compliance of the Act, SECDIV regularly undertakes outreach and awareness raising activities. Commodity Identification Training is conducted for capacity building of relevant enforcement agencies.